Some would say she's loyal, others would say she's a doormat. But what would God say? 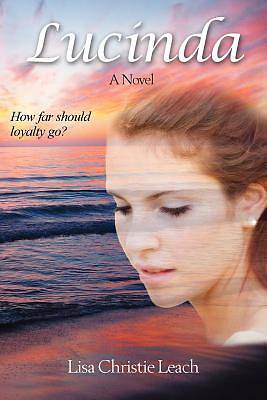 Strong, passionate, yet tenderhearted Lucinda is determined to make her marriage work. She can see all the potential in her husband, Rod, and besides, she doesn't believe in divorce. But Rod seems equally determined to stay miserable...and drag her down with him. That is, if he doesn't beat her up first. At what point does "turn the other cheek" not apply? Lucinda's struggle peels the lid off age-old questions within her, challenging her newfound faith. Lucinda's journey is not a straight line to freedom, but dips and detours with each decision she faces. Can she trust the ones offering her healing and hope? How does she know she's hearing from God? She doubts herself at every turn, yet seeking help seems even scarier than sticking it out. It could cost her everything... About the Author: Lisa Christie Leach is cofounder of SageFire Ministries together with her husband Jim. A graduate of Sarah Lawrence College, she has also trained with Elijah House and other ministries in healing prayer and is on staff at Spirit Wind Center for Creativity and Healing. Having emerged from an abusive first marriage, Lisa now has a passion to see people healed, released from oppression, and freed to enter the fullness of all they are designed to be. Lisa is the daughter of the late Doris Lund, best known as the author of the 1974 bestseller, Eric which was also made into a movie the following year. She is the mother of three grown children and makes her home in Connecticut.